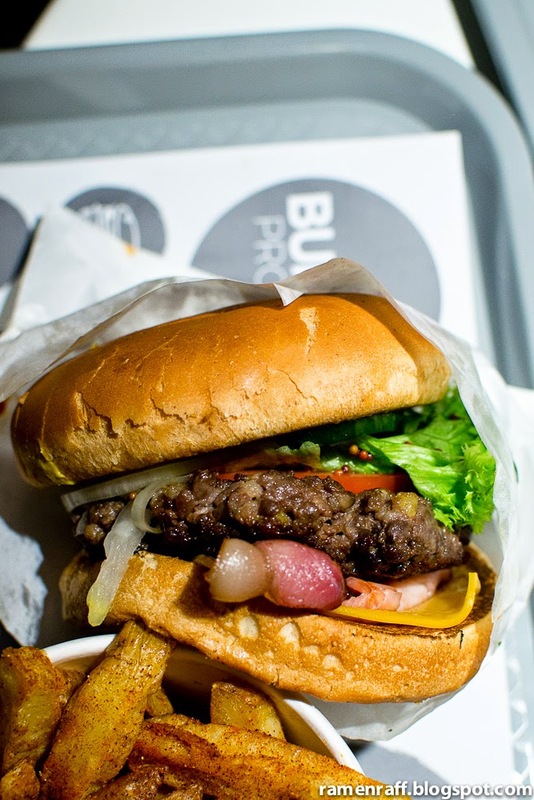 Burgers are one of the simplest yet indulgent comfort food. 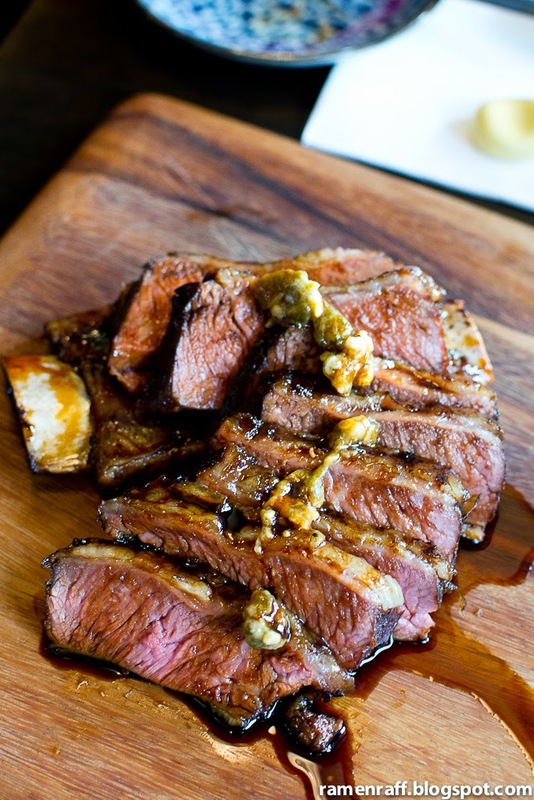 It is loved by so many especially by one of Australia's leading chefs, Mr. Neil Perry. His wagyu burger at Rockpool Bar & Grill has been rated as one of the best in Sydney. 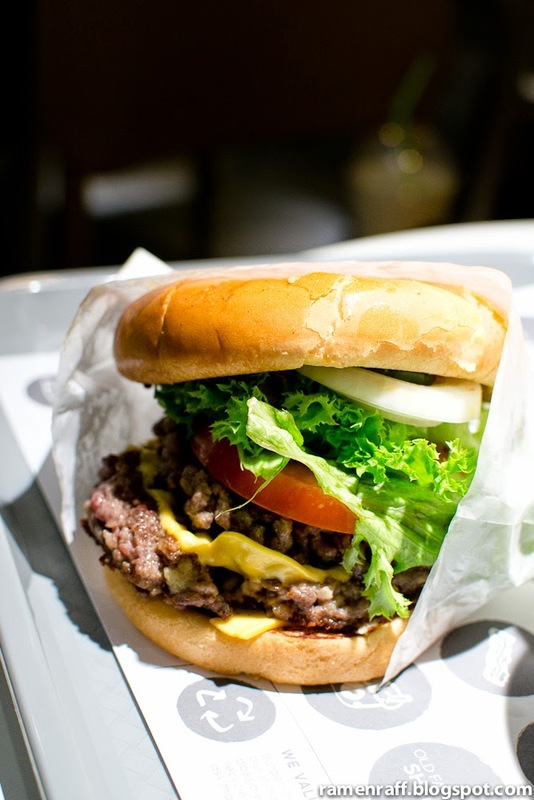 Neil Perry said that he loved eating burgers growing up even before McDonalds was around in Australia. 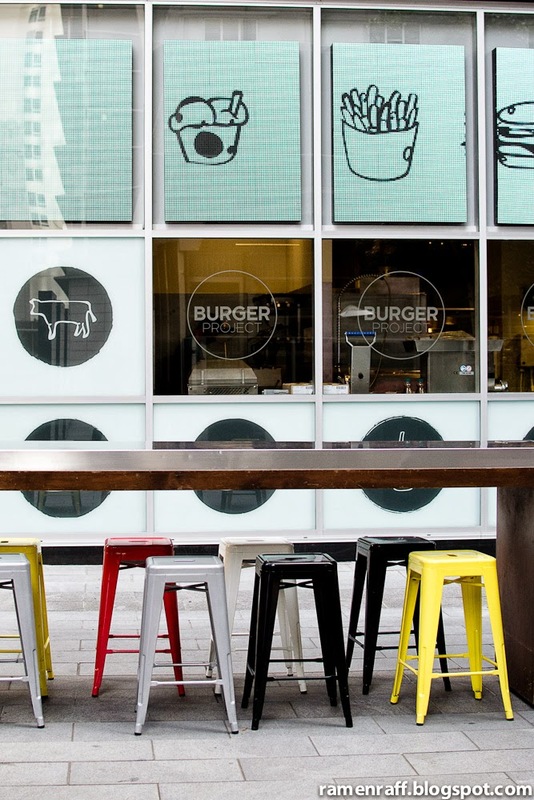 It's no surprise that he would add to his portfolio of restaurants a place that is dedicated to burgers. 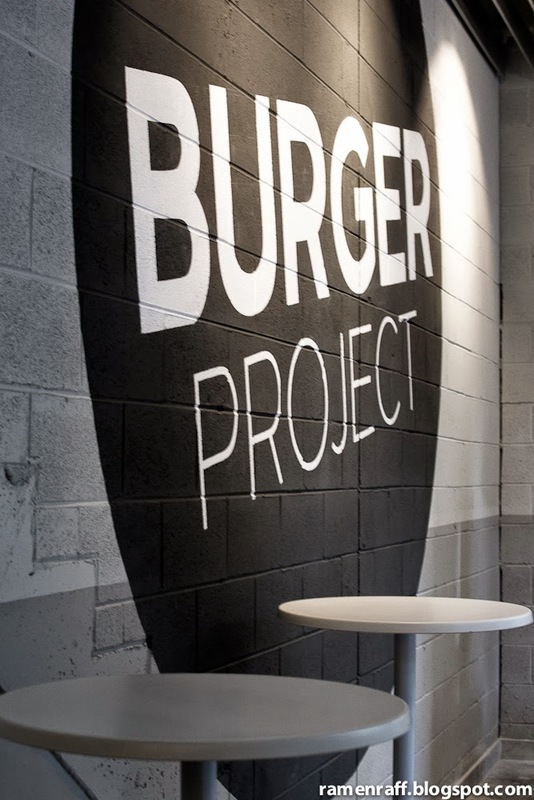 The new Burger Project was born out of his love for hamburgers and everything that goes well with it. 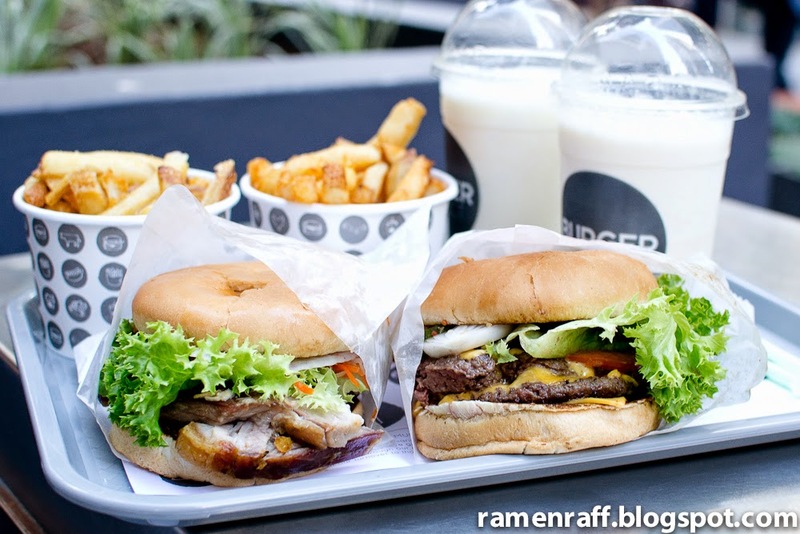 Burger Project is a burger bar located in World Square. 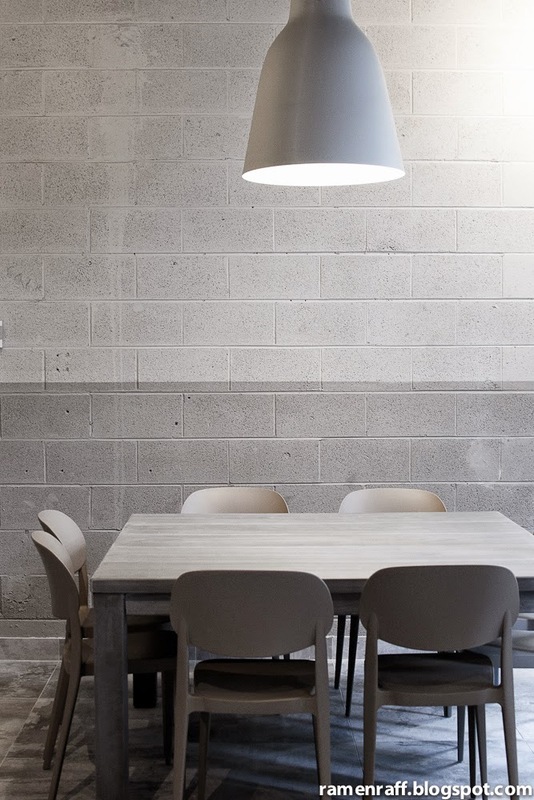 It has been given a contemporary twist and a touch of that Neil Perry magic. 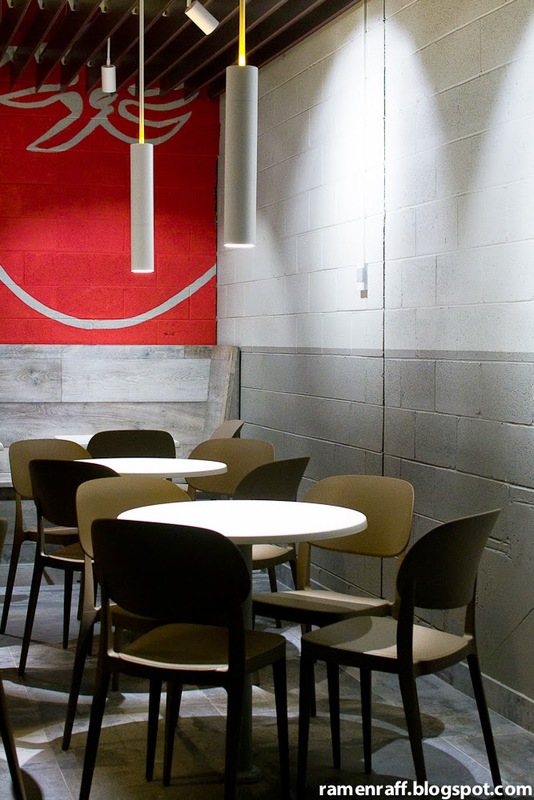 The fit out has a sleek modern diner design. They use Cape Grim grass beef for their burger patties. 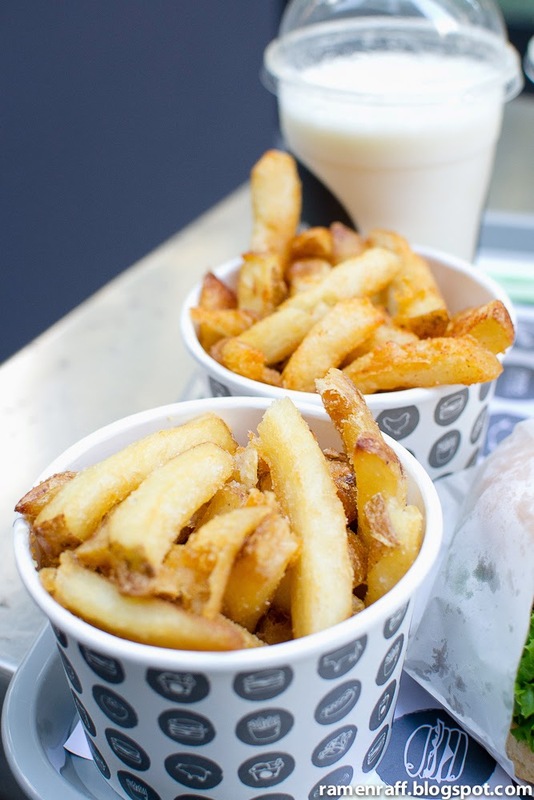 You can choose from a range of classic and fusion type burgers and hotdogs. Ice creams, sundae-type desserts, slushies, milkshakes, wines and beers are also available. Chocolatesuze decided to go with an epic double burger ($9.90). It had double cheese, double grass fed beef patty, onions, tomato, lettuce, pickles, mustard and ketchup. Grab Your Fork and I opted for the cheese and bacon burger ($9.50). It had cheese, bacon, grass fed beef patty, onions, tomato, lettuce, pickles, mustard and ketchup. It seemed like the medium rare patty was cooked with the smash method and the beef was minced on the pulpy side to give it a bit of a steak effect. It was not as juicy as I hoped it would be but it was still flavoursome. 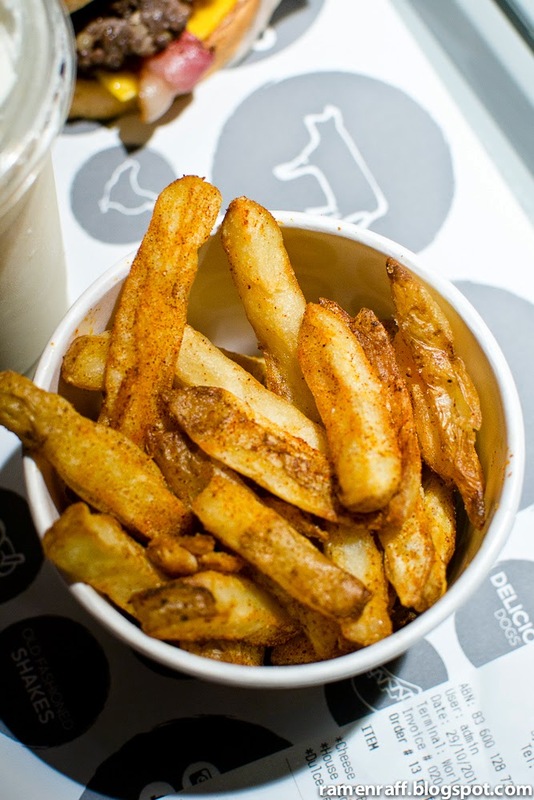 The house made chips with chipotle chilli ($4.90) were amazing and nicely seasoned! They were hand cut and triple cooked. It was crunchy on the outside with a soft center. The chipotle chilli gave the chips a smoky flavour. 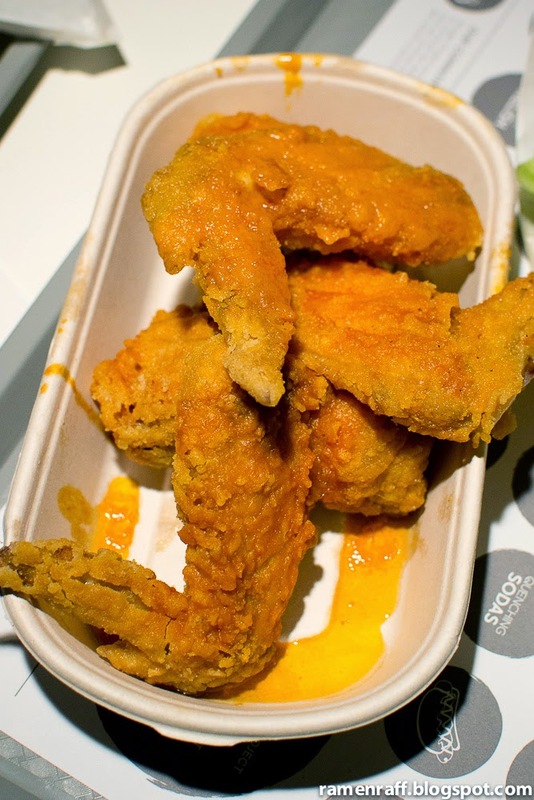 We also had the chicken wings with classic hot sauce ($3.50 for one or 3 pieces for $9). It's deep fried with a classic cayenne pepper based hot sauce. The rippled batter was super crunchy and the chicken meat itself was succulent. I tried their salted dulce de leche milkshake ($6.50). The caramelised milk flavour was there but it wasn't overly sweet. There's always room for dessert right? So, I also had the salted dulce de leche ice cream ($4.00) for dessert. The ice cream with an additional topping of crumbles ($1) was simple but it totally hit the spot for me! 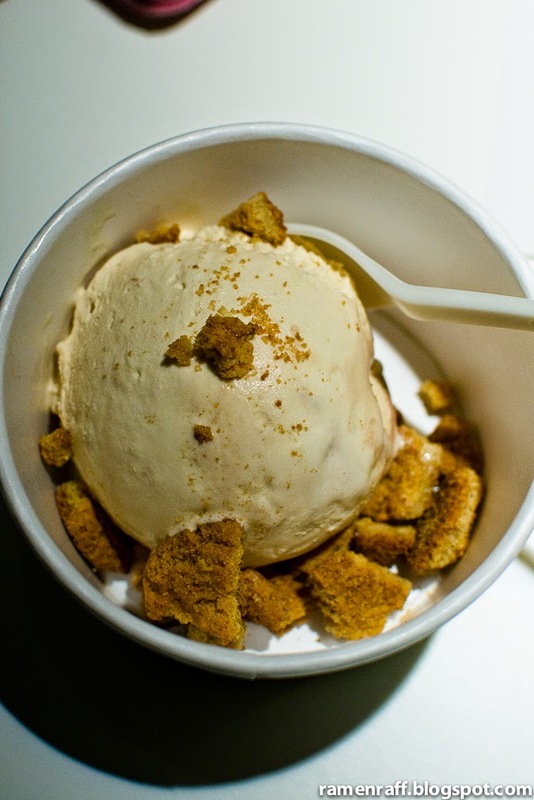 The ice cream tasted more like a light salted caramel and the additional crumbles tasted like ANZAC biscuits. Super crunchy house made chips! The chips were ridiculously extra crunchy and the center was still soft. I just had to try the double burger for myself to see how awesome it was. The perfectly cooked medium rare patty has improved as it was juicier and had a better caramelised surface. The overall filling (especially the glorious melted cheese) had a very pleasant texture and the lightly toasted bun held the whole burger well. 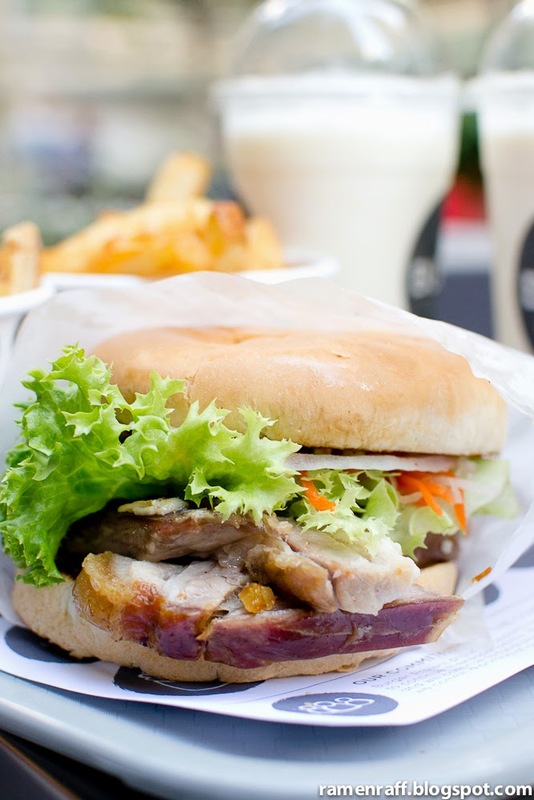 We also ordered the spicy pork belly burger ($9.90). The pork belly itself was tender, well seasoned and had an amazing crackling! The crackle sound that accompanied every bite was like music to my ears. I didn't really get any heat from the salted chilli, instead it added an extra sweet flavour. The pickles and slaw gave it sweet and sour flavours that nicely cut through the richness of the pork. 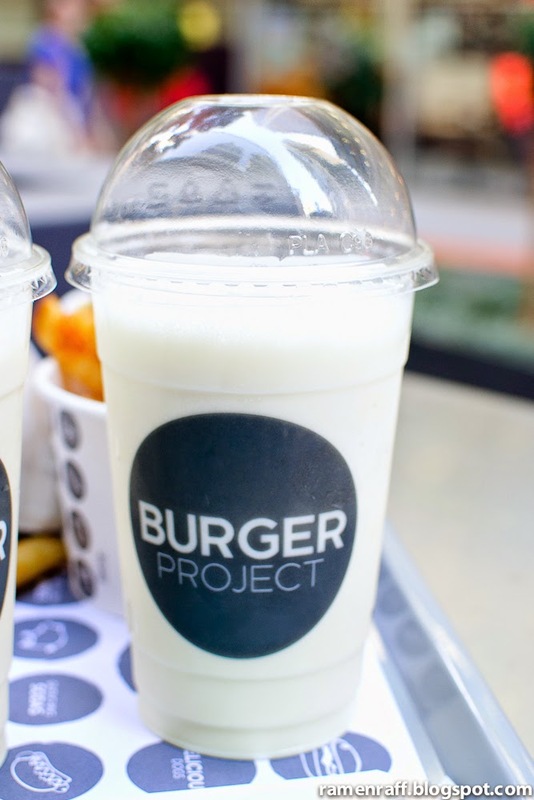 The Burger Project delivers solid burgers, fries and milkshakes. I like that they are very accessible and you get value for money for their items. 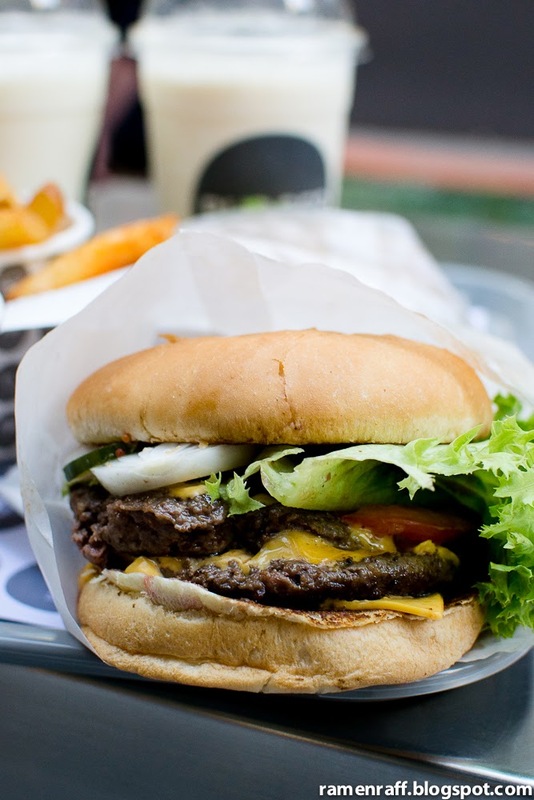 The double burger was my favourite and I will definitely return to try their hotdogs. 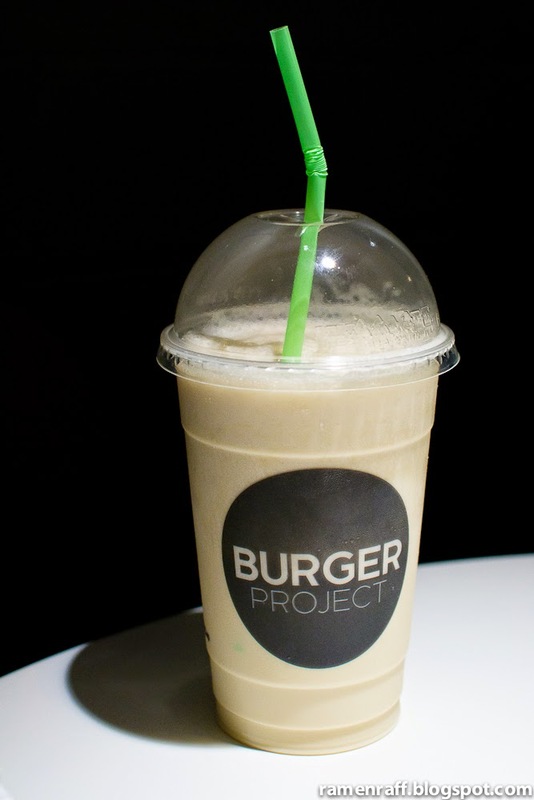 Burger Project opens to the public on Friday, 31 October 2014. Ramen Raff was invited as a "plus one of a guest" and a competition winner via Australian Gourmet Traveller. So what does Domo-kun and Gundam have in common?? 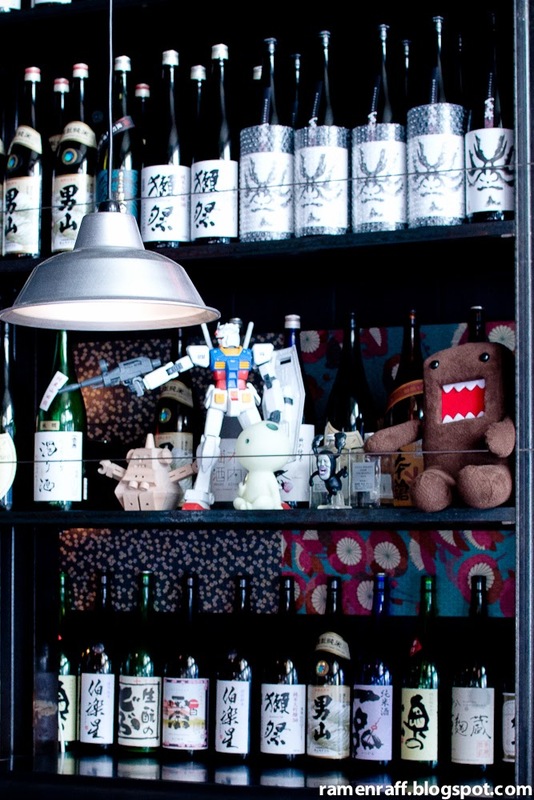 As you can see in the picture above, they love to hangout at Izakaya Fujiyama! I mean, why wouldn't you? They carry a great range of quality sake and the food is mind blowing! Since its 2011 launch and after reading reviews about them in various food blogs, I made it my mission to make it here one day. 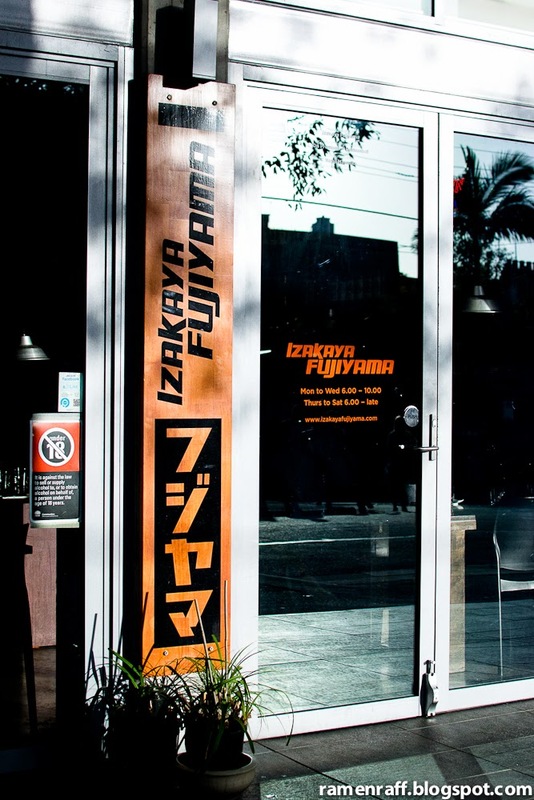 Izakaya Fujiyama is located on Waterloo Street (near Devonshire Street) in Surry Hills. Izakayas are like pubs in Japan but more refined. 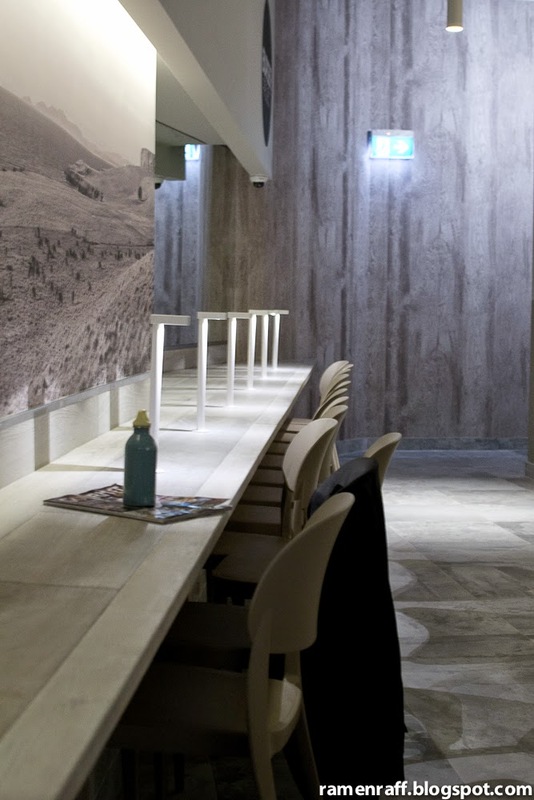 Fujiyama is a drinking establishment that serves Japanese dishes designed to be shared. The foods are like bar snacks but more substantial than tapas. 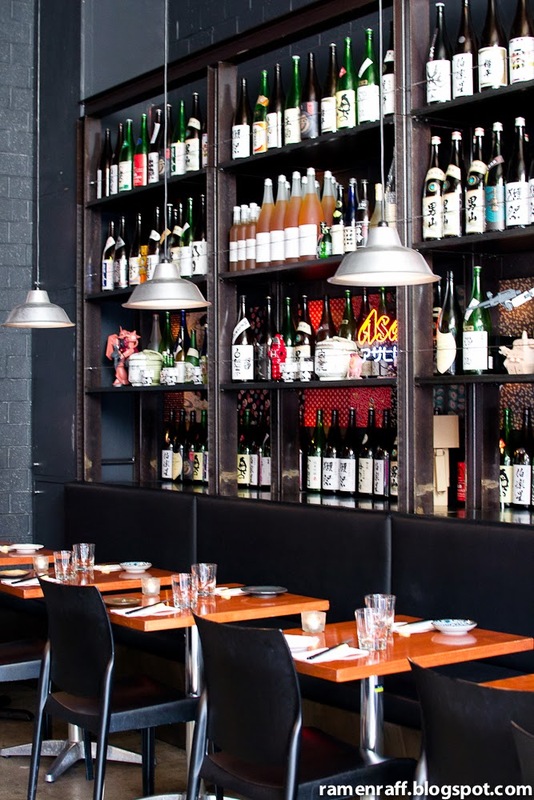 The venue is modern and sleek with wall shelving fit outs that display an amazing range of sake. There are tables for two, four and six. There's also a huge communal table in the middle of the restaurant. 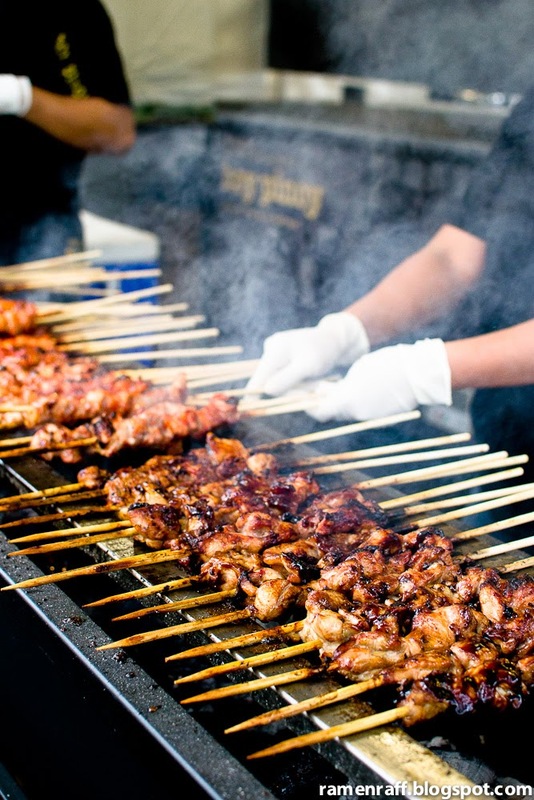 The food ranges from sashimi to kushiyaki (grilled meats). Chef Kenji is the man behind Fujiyama's magic. 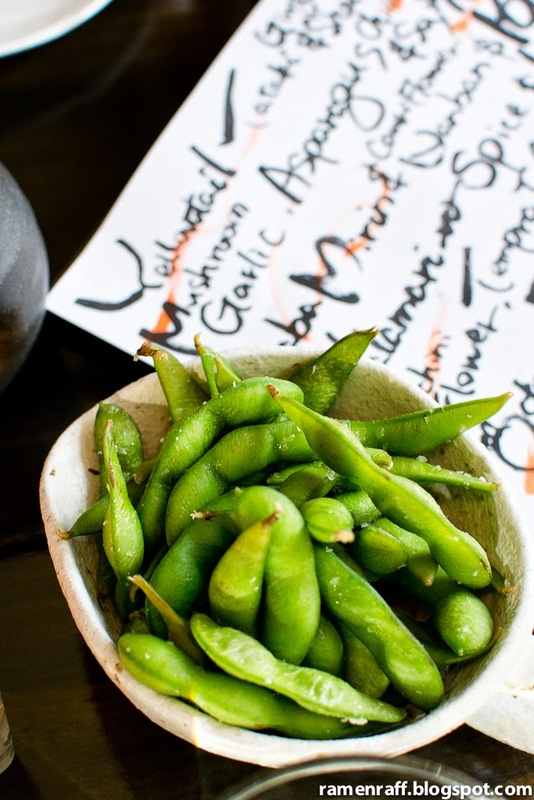 We started with a classic Izakaya item, edamame ($5.50). It was nice, fresh and sprinkled with sea salt. The beans contained within the pods were sweet and tasty. 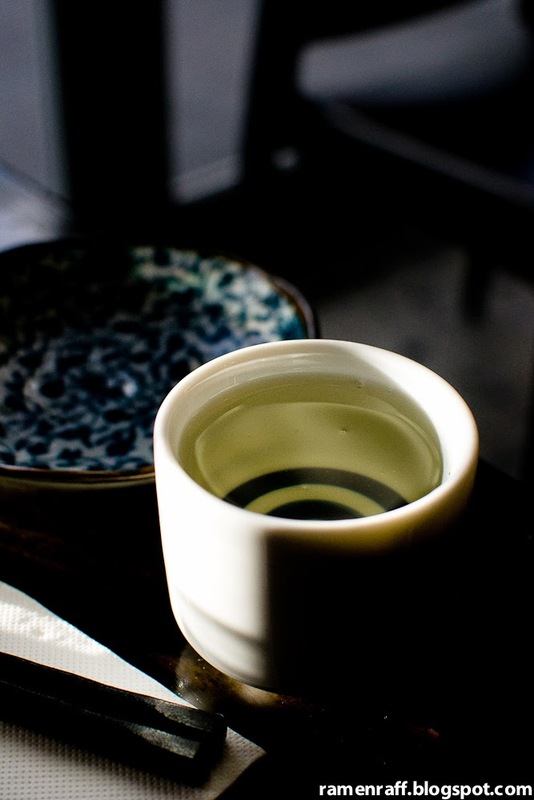 I also ordered a 'Tamagawa Muroka Nama' Genshu Yamahai sake ($11 - 110ml). It was very fruity with distinct notes of watermelon. It was 110ml of liquid happiness! We all agreed that we must order Kenji's Fried Chicken ($14.50). 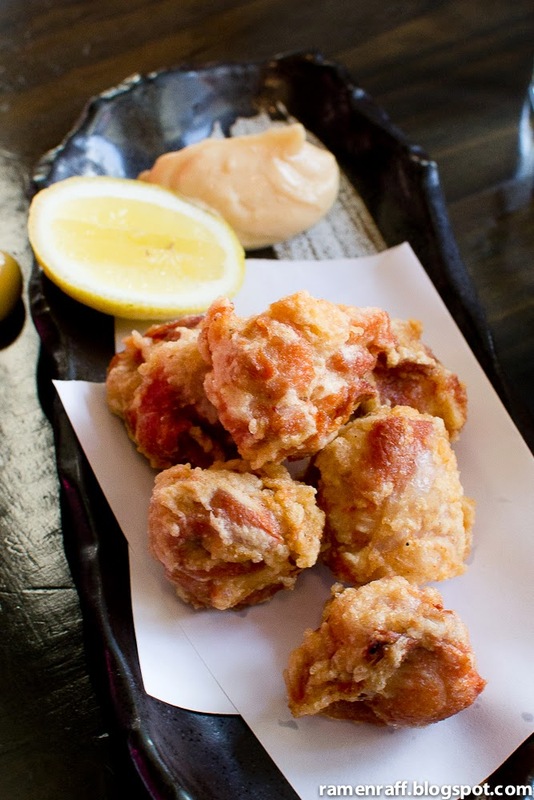 Chef Kenji's twist on the classic karaage chicken has delicate crunchy batter rather than usual doughy-crisped batter. The pieces of chicken were more chunky and super succulent. The housemade kewpie mayo was sweet, slightly tangy and creamy. Fried chicken plus sweet tangy kewpie equals a joyous moment. The Kingfish nuta with tortilla ($16) was one of the best dishes I've ever had. 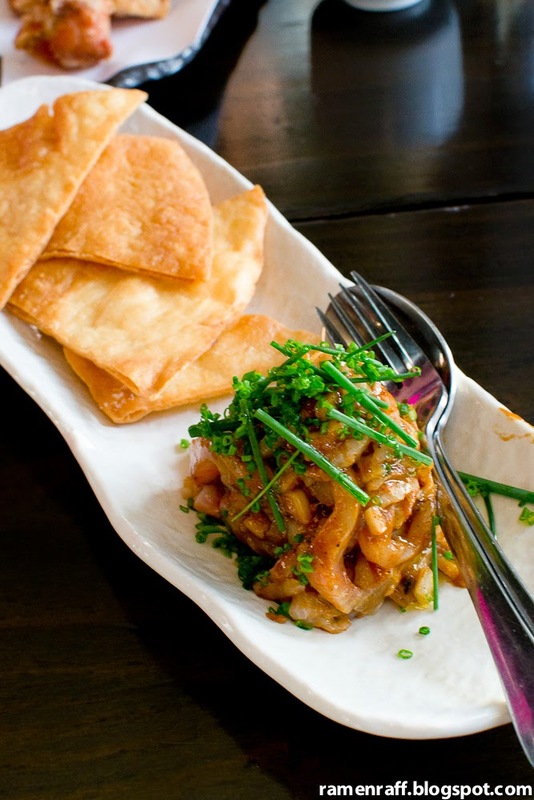 Nuta is normally a side dish flavoured with sweet miso paste and scallions. Fujiyama's version uses kingfish sashimi with lime flavoured miso paste, scallions and chives. It had a nice silky texture with sweet citrus flavour and slightly gingery. There was also a nice bite from the chives & scallions. Spread this on the deep fried tortillas to take the nuta experience to the next level. The Teriyaki beef rib ($29.50) was straight up tender, juicy and sticky. The teriyaki masterstock glaze was sweet and syrupy. 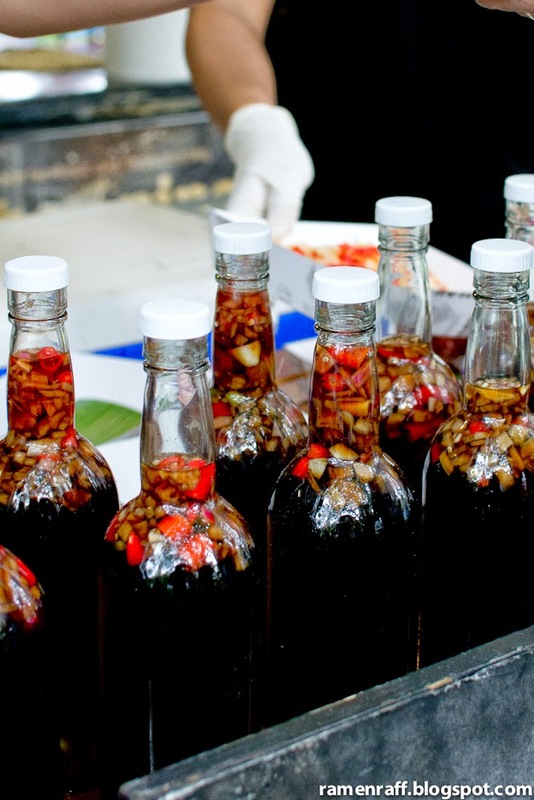 The jalapeño relish adds a hint of smoky and sweet nutty flavour. In short, it's mouth rockin' awesome! The deep fried zucchini flower tempuras were a definite delight! It was stuffed with a cheesy filling and the pieces of sweet blood orange were nice to cut through the rich fried goodness. Then came the crispy pork belly with yuzu kosho ($26.50). Our eyes were all wide open in excitement at the sight of the chunky pieces of pork. All hail! The glorious tiles of crackling that was super crisped and perfectly seasoned. The meat itself was succulent, tender and nicely sprinkled with sea salt and pepper. 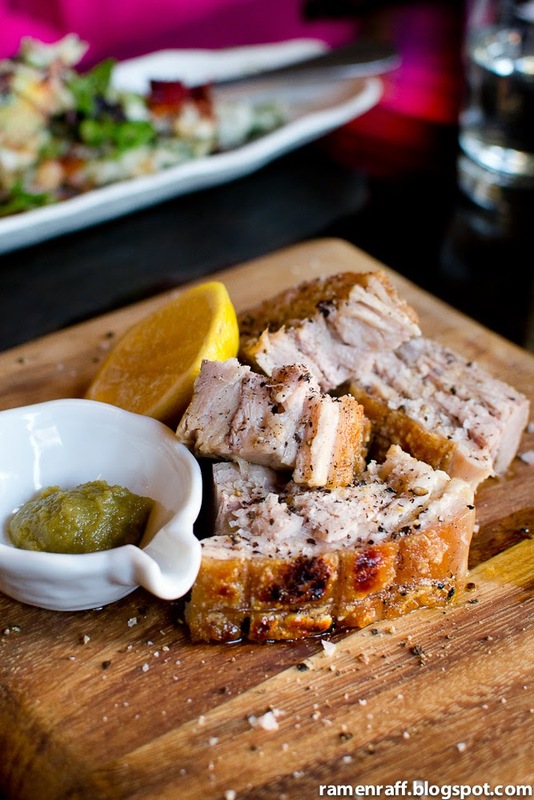 The yuzu kosho (chilli pepper) paste gives a nice balance and heat to the fatty flavoursome pork . I was swept away by the plate of Fujiyama snickers ($13.50). It was like a deconstucted snickers bar. 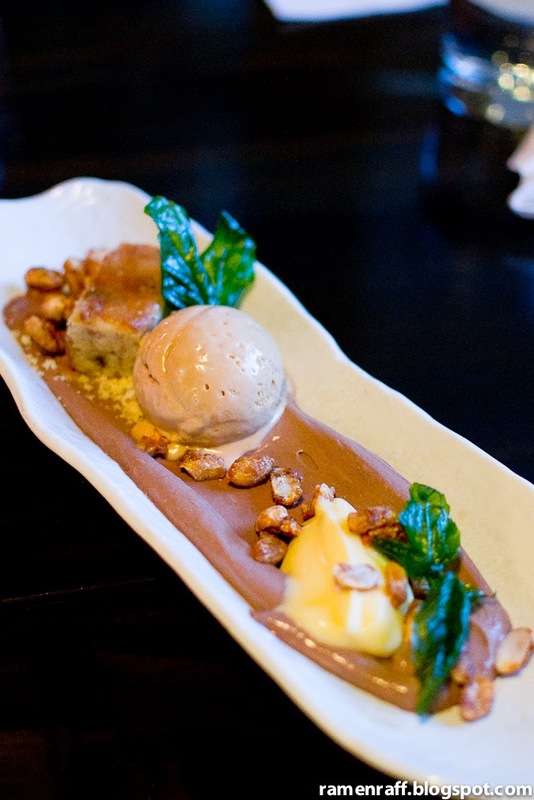 It had peanut butter cake, salted caramel ice cream, chocolate custard, a dollop of yuzu custard and peanuts. It was mind blowing! The citrus component brought by the yuzu custard and salted caramel ice cream was a genius twist. This dessert was an awesome homage to the classic snickers bar that's loved by many. I now see why they have received raves from many food lovers and members of the Sydney Japanese community (including ramen master Chef Mori Higashida) that frequent here. 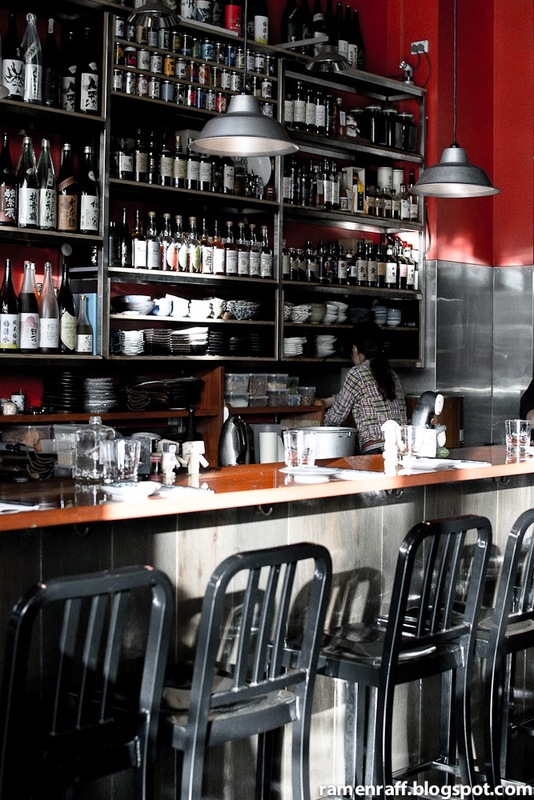 The service is superb, sake selection is wide, and the twists on Izakaya food are brilliant. I am now a big fan of Izakaya Fujiyama. Thursday to Saturday from 6pm until late. 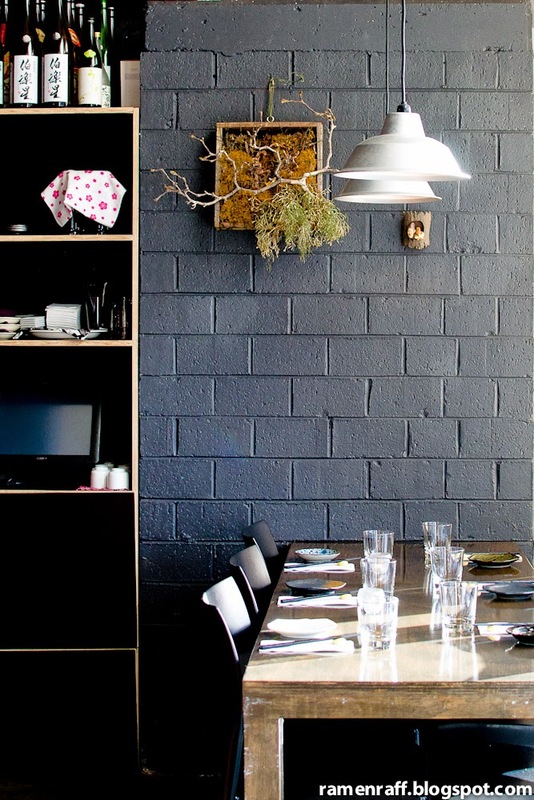 October is a significant month for food lovers in Sydney. 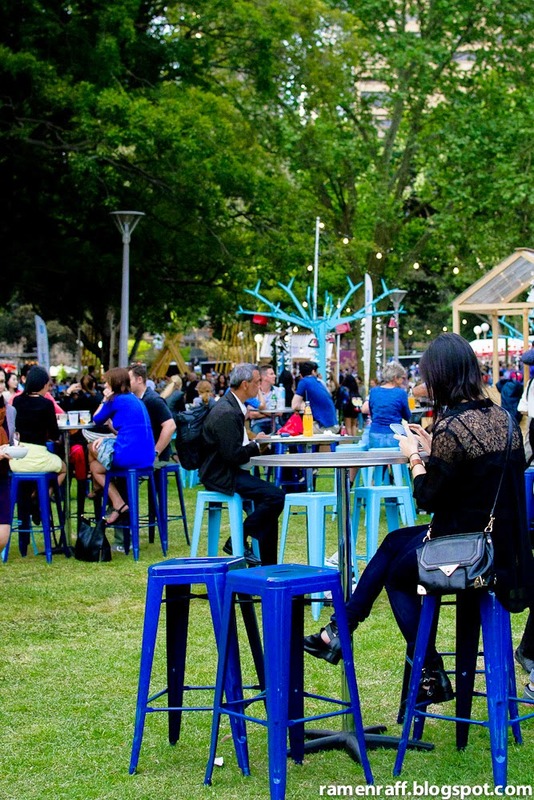 Good Food Month has food related events throughout the whole month spread across Sydney. 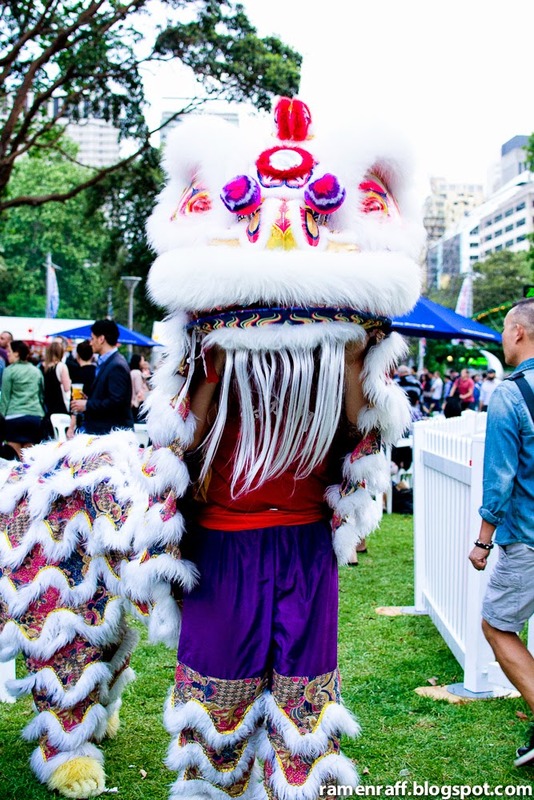 One of the most popular events visited by many is the Night Noodle Markets at Hyde Park. 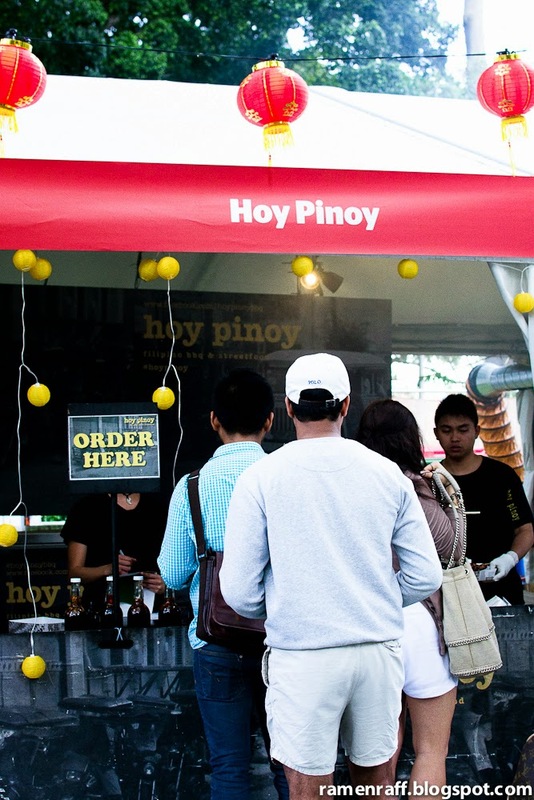 My homie iFat and I sprinted over to Hoy Pinoy's stall as soon as the awesome Cooking Crusade told us that they have joined the event this year. She said to follow the smoke and that smoke lead us to them indeed. 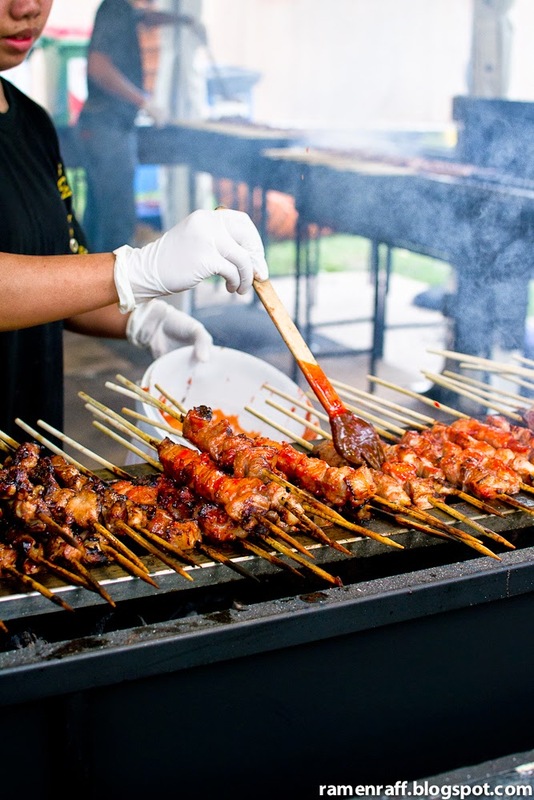 The sight and enticing smoky scent of the Filipino style BBQ setup was very nostalgic. Happy memories as a kid started running through my head. 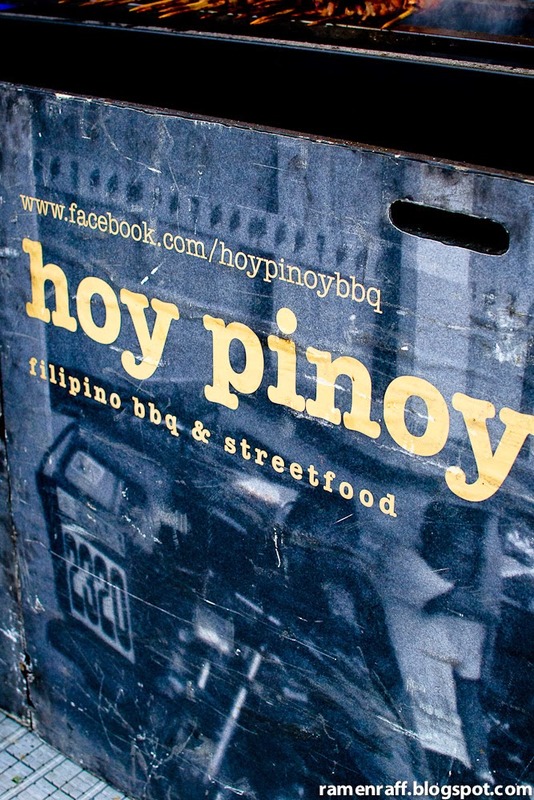 Anyhow, we tried both their pork belly skewer and chicken inasal. 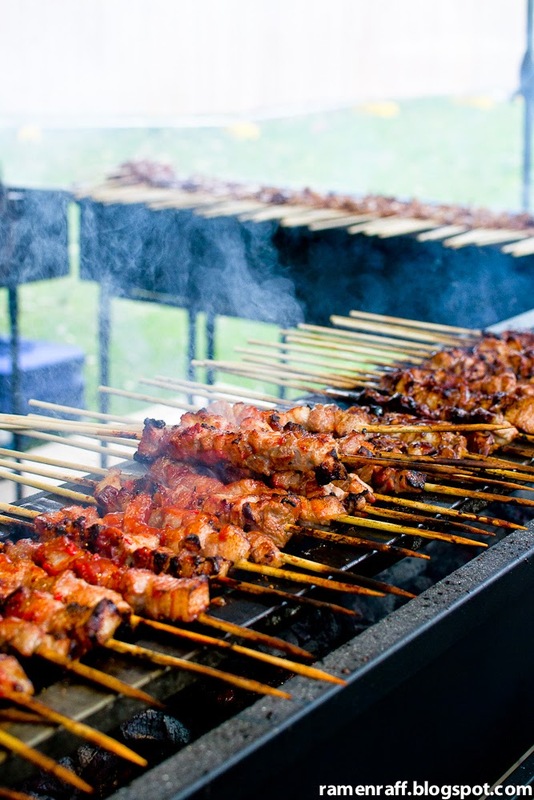 It was 2 skewers for $10 plus $3 for extra rice and atchara (pickled unripe papaya). The pork belly was definitely legit when it comes to the flavour. 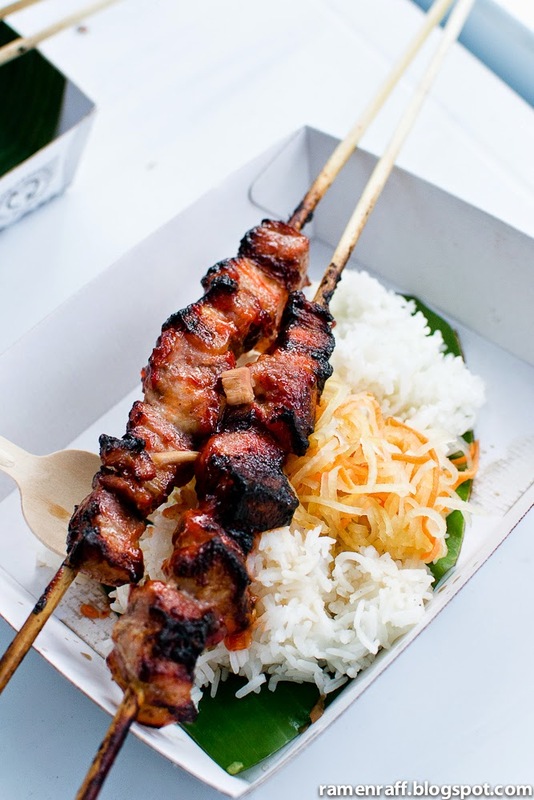 The glazed marinade had sweet notes from banana ketchup, smoky with hints of soy and garlic. 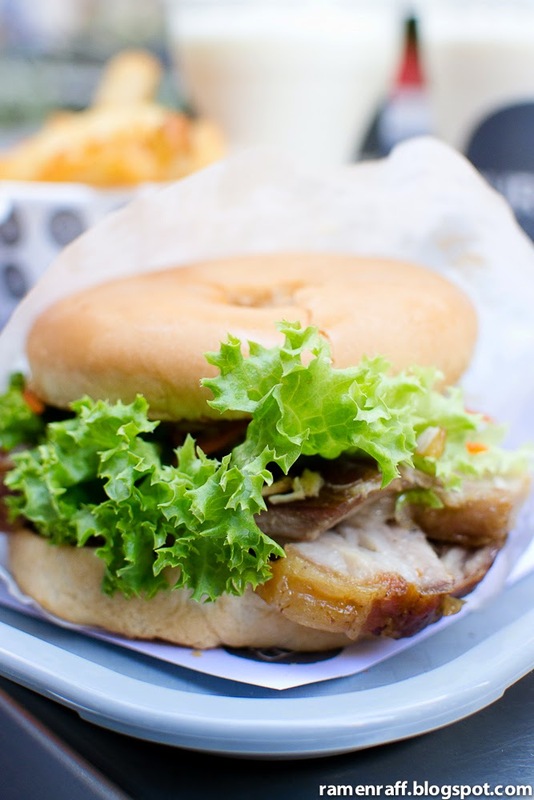 Although we would normally use pork neck, the pork belly twist provides extra juiciness. 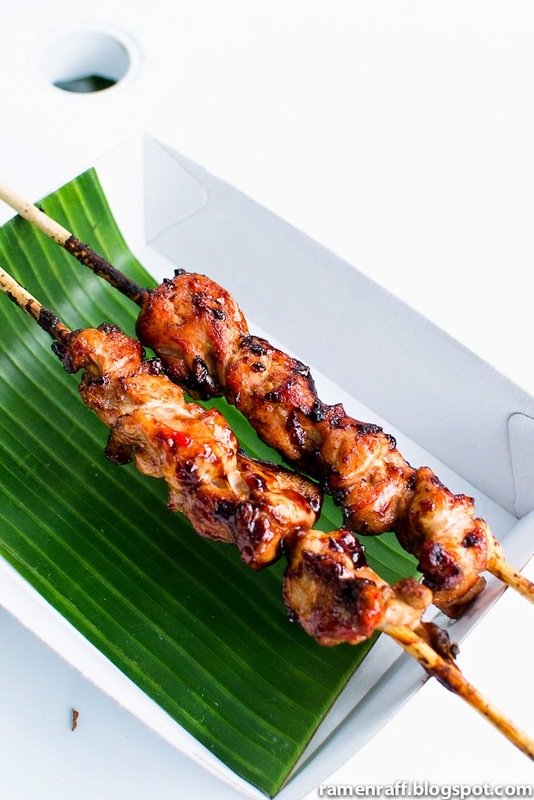 Chicken inasal traditionally uses boned chicken, but their twist of using chicken thigh fillets makes it more convenient to eat. It was a tiny bit sweet with notes of vinegar, soy and garlic. 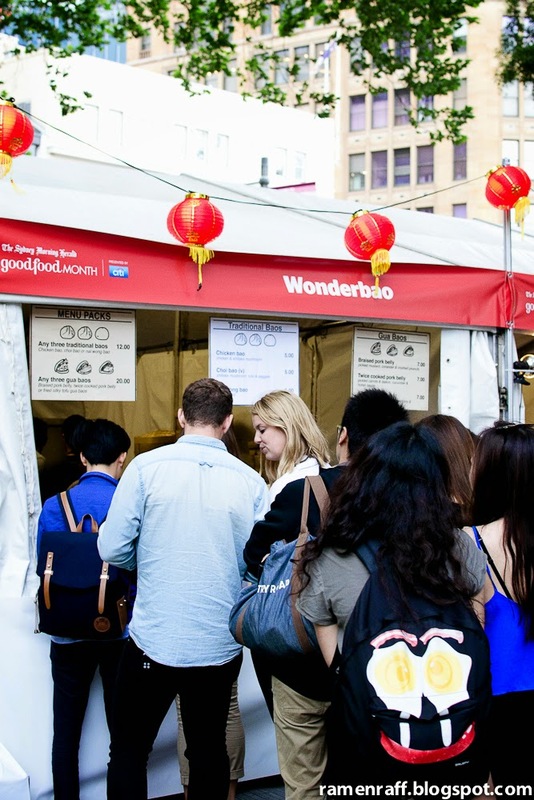 Everyone was super excited to know that Wonderbao was taking part this year. Back in the Melbourne laneways, they are best known for their dumplings. Ever since my visit at their Melbourne shop, I already had my heart set on the pork belly gua baos ($7 each). This has gotta be my favourite gua baos ever! 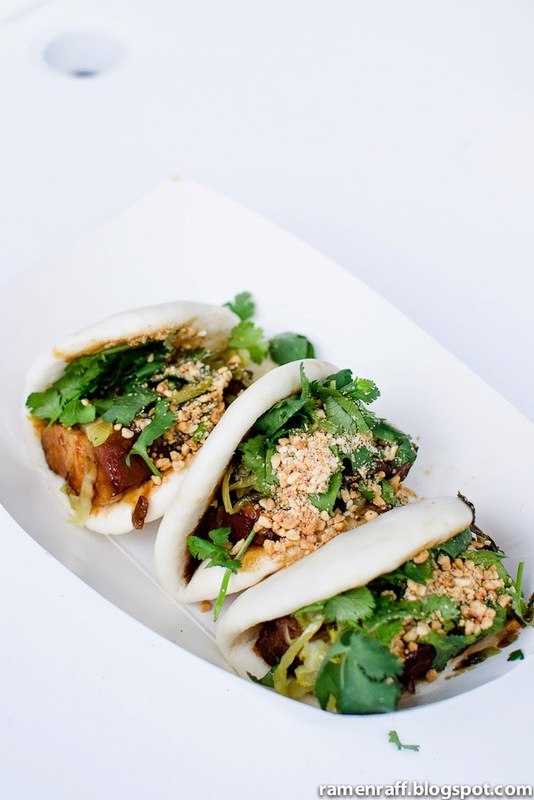 The pillowy soft half moon steamed buns were filled with masterstock braised pork belly. The pork had an amazing sweet caramelised flavour and was insanely tender. 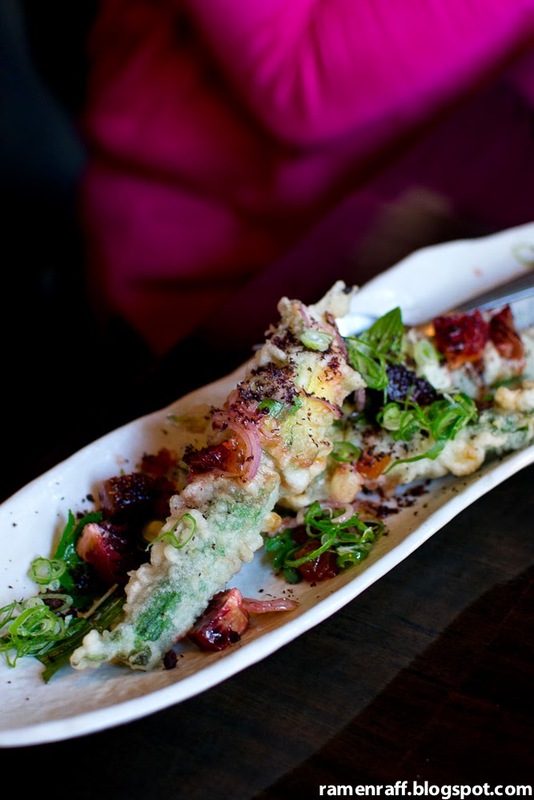 It worked perfectly with the other fillings, which includes pickled mustard, corriander, sweet soy and crushed peanuts. 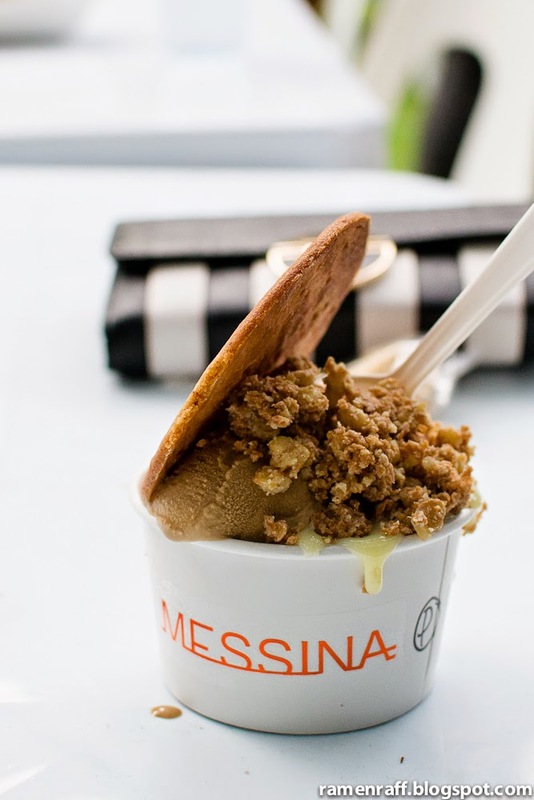 I didn't get the chance to try any of Gelato Messina's Asian-themed desserts. The lovely Citrus Candy had her priorities right by going dessert first and scored an item from them that night. She gives the pot luck pie from Gelato Messina's Lucky Fortune Bar a thumbs up. It was the Phuc King Tasty pot luck pie ($9), which consists of a cinnamon scroll topped with coffee gelato, condensed milk pannacotta, walnut crunch and Asian spiced cookie. 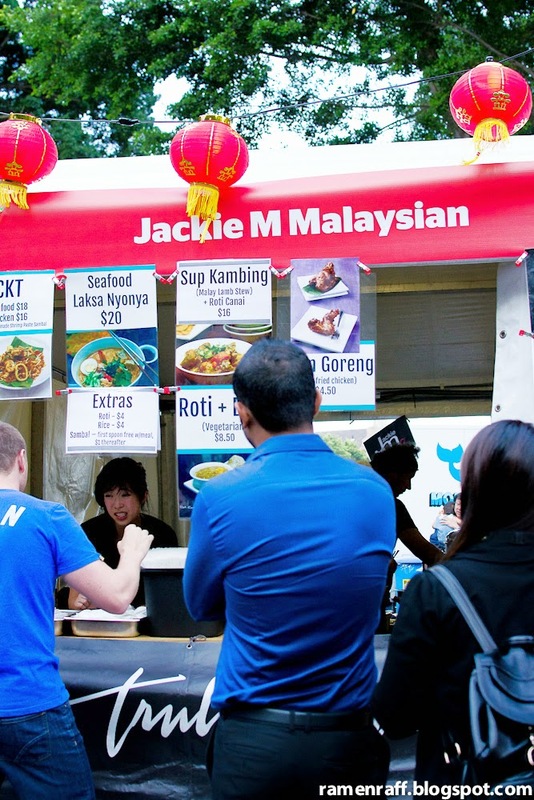 Last but not least is Sydney's queen of Malaysian cooking; Jackie M. Amongst her popular items is her signature Char Kway Teow ($18). This rice noodle dish was amazing as usual. I had the seafood version, which had prawns, cockles and squid. 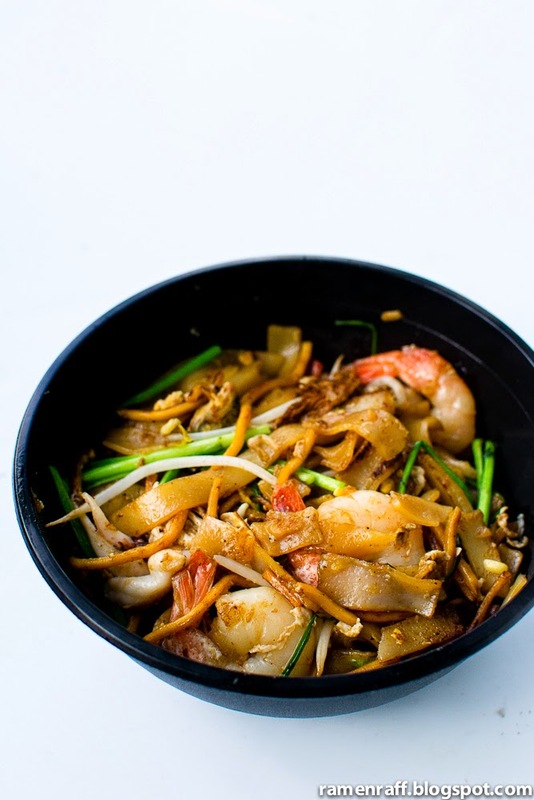 It was vibrant with presence of wok hei and caramelised bits. This is one dish you can't go wrong with when visiting her stall. With new players in the scene, curiosity arises and queues get longer. So the earlier you can get there, the better! I suggest starting up with all the joints I mentioned above as they had the longest queues that night.